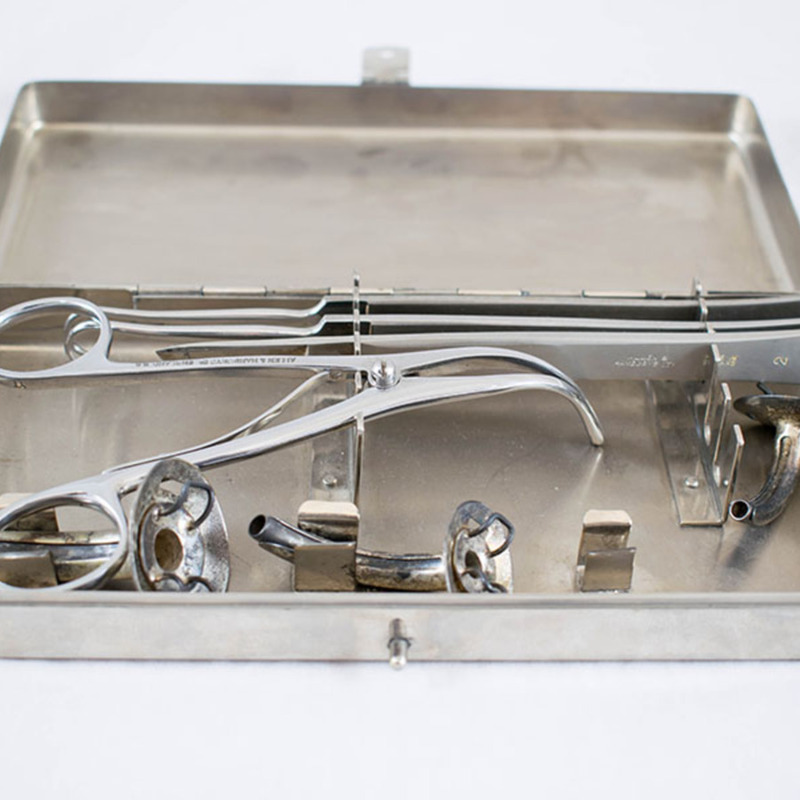 Tracheotomy, or Tracheostomy, set containing one sharp hook, one blunt hook, one scalpel, one pair of dilating forceps, and three cannulae. Before the advent of antibiotics and routine inoculation, diphtheria was a common infectious disease requiring urgent treatment. The main problem was the rapid production of a grey thick membrane at the entrance to the fauces (back of the throat). As it thickened it began to make breathing increasingly difficult. Children, systematically weakened by the toxins produced by the disease and with naturally narrow airways, could die from suffocation without immediate relief. The contents of this box contain all the instruments required for such an intervention. The child was laid on his/her back with a support under the shoulder to expose the windpipe- this makes the trachea easily identified under the skin by its rings of cartilage. An incision was made into the trachea with a scalpel. Enlarging the wound vertically enabled the edges to be grasped with retraction hooks, allowing a tracheostomy tube to be inserted and secured in place by tape around the neck. This procedure would usually take less than a minute to perform, resulting in immediate relief for the patient. 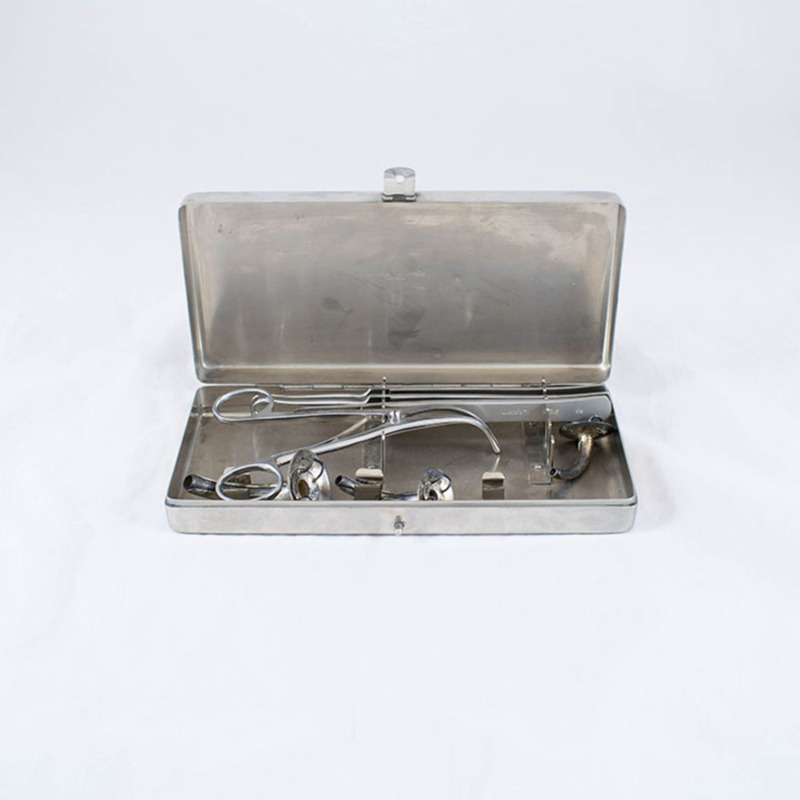 During the diphtheria epidemic in the 1930s, staff in fever hospitals may have been required to perform such a procedure up to 4 or 5 times in the course of one night. (Description provided by Mr Roy Miller FRCS(Glasg), Honorary Librarian). 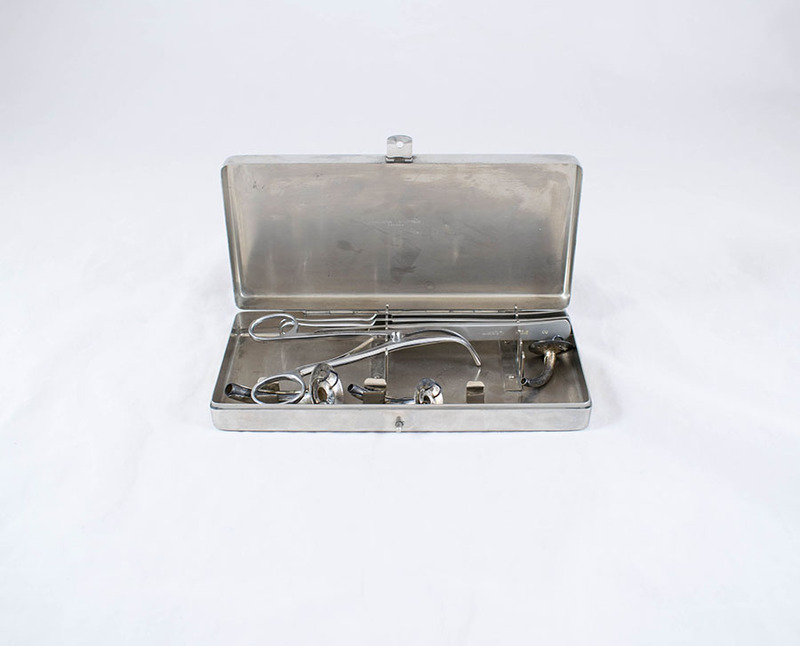 “Tracheotomy Set ,” Heritage, accessed April 24, 2019, https://heritage.rcpsg.ac.uk/items/show/761. 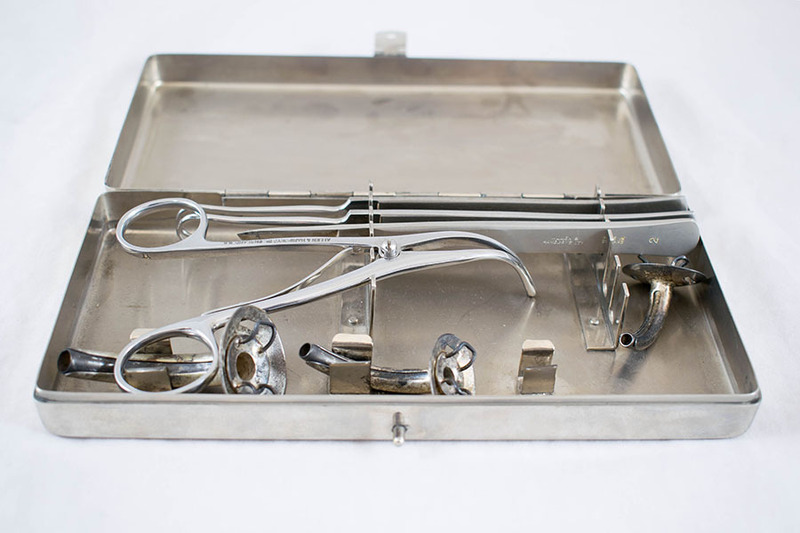 Description: Tracheotomy, or Tracheostomy, set containing one sharp hook, one blunt hook, one scalpel, one pair of dilating forceps, and three cannulae.